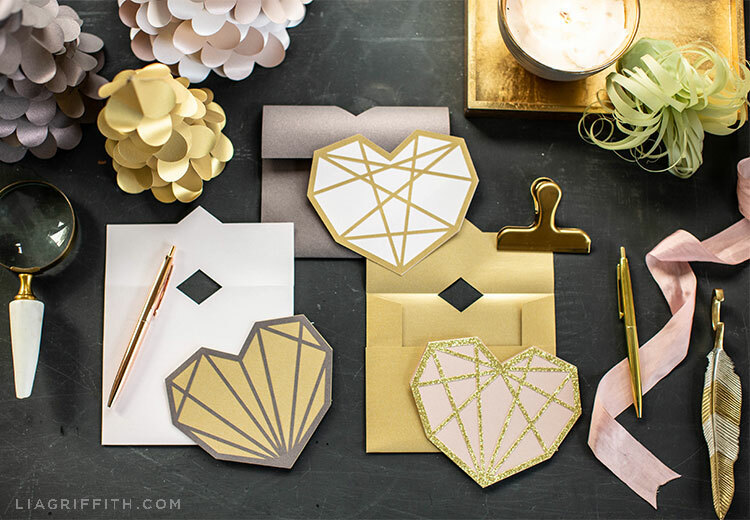 Sending handmade cards to family, friends, and other loved ones is a simple way to let them know you’re thinking about them this Valentine’s Day. And we’re here to help with that sweet gesture, of course! 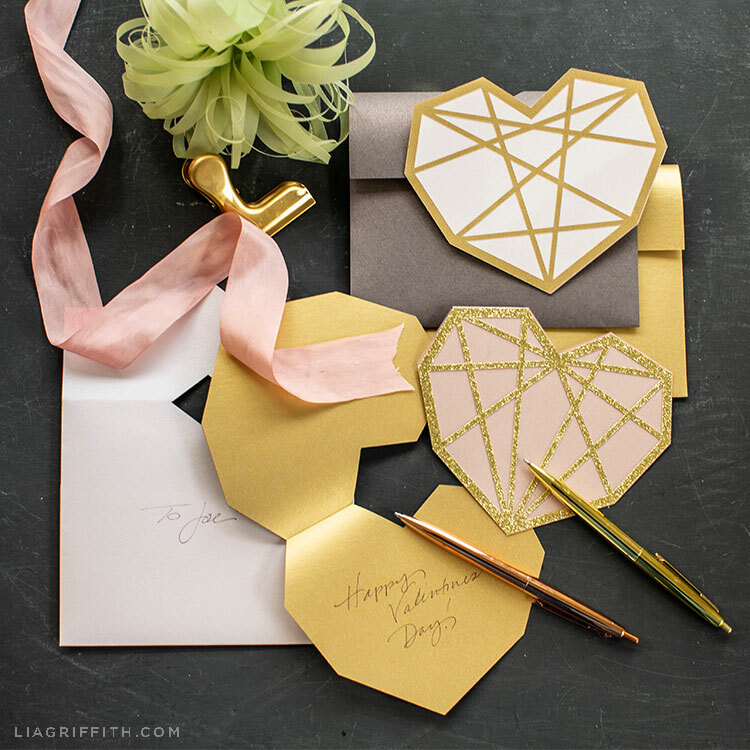 These paper geometric heart cards are cute, quick, and easy to make, especially with a cutting machine. 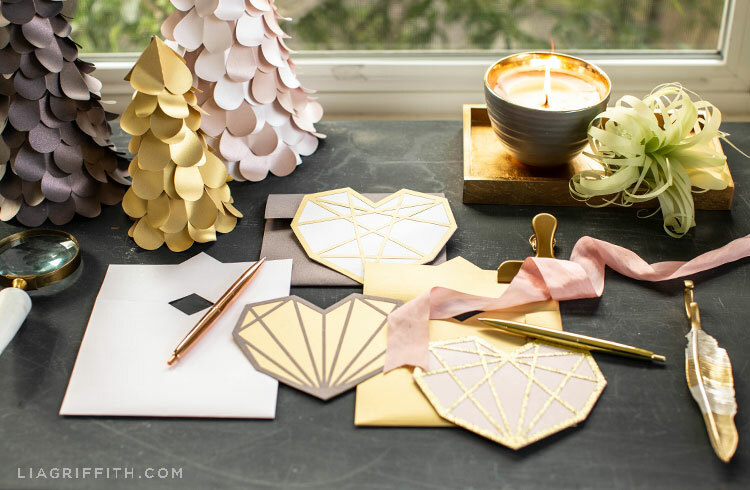 These DIY cards use the same design as our geometric heart garland. This is one of the many things we love about DIY projects. You can use the same design or pattern to create so many different things. It’s also a great way to put the new paper we bought for that garland to good use! Whether your loved ones live nearby or far away, sending them a handmade, handwritten card is sure to make them smile. 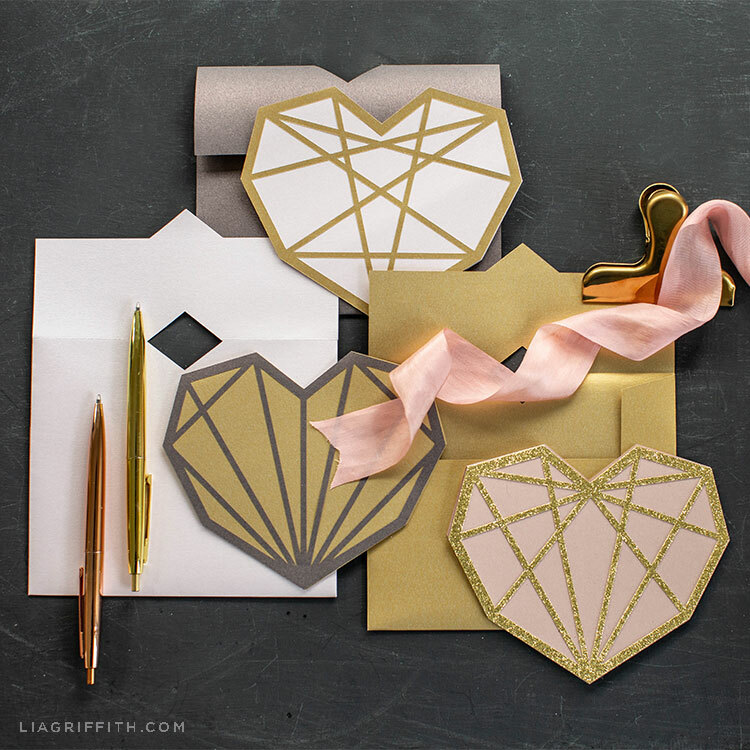 To make these paper geometric heart cards, we recommend using a cutting machine and our SVG file since the design is quite intricate. If you don’t have a cutting machine, you can still cut these by hand using our PDF template below. We’ve also listed the colors we used for these cards. But feel free to use up whatever paper you already have! When you have everything cut, just glue the geometric design over the heart. Since this is a unique card design, we’ve included a pattern to create your own envelopes in the templates below. 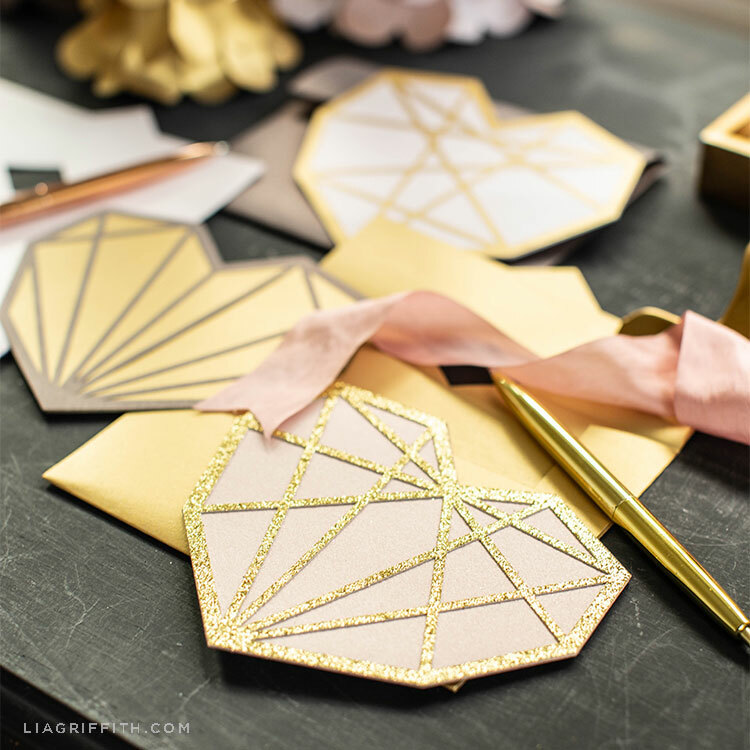 Want more DIY ideas for Valentine’s Day? You can find all of our Valentine’s Day crafts here. For daily DIY ideas and inspiration, follow us on Facebook, Pinterest, or Instagram. And browse our YouTube channel for video tutorials on making paper flowers and plants, DIY decorating, and more.